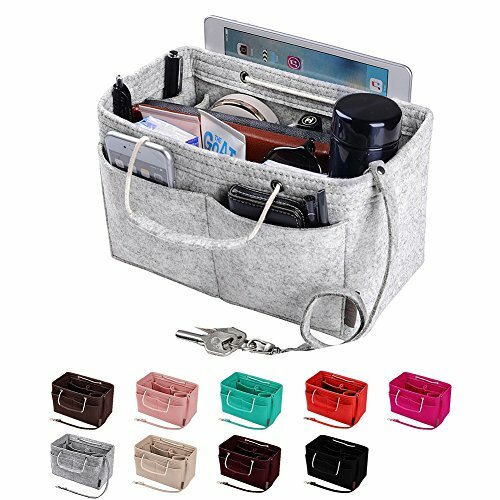 【3 Size for You to Choose】Our Felt Purse Organizer with 3 Size:Medium: 9" (W) x 6.3" (H) x 5.1" (D) inches Fits Speedy 30 perfectly. 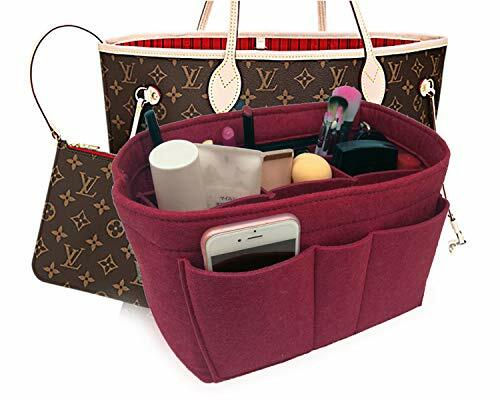 Large: 11.4" (W) x 7" (H) x 5.9" (D)inches Fits LV Speedy 35 and LV Neverfull MM Perfectly.X-Large:13.38" (W) x 7" (H) x 6.7" (D) fits LV Speedy 40 and LV Neverfull GM Perfectly.Portable and compact purse perfectly For any brand,such as LV,Longchamp Tote,Coach,MK,Gucci,Prada etc.Please check the size before purchasing! 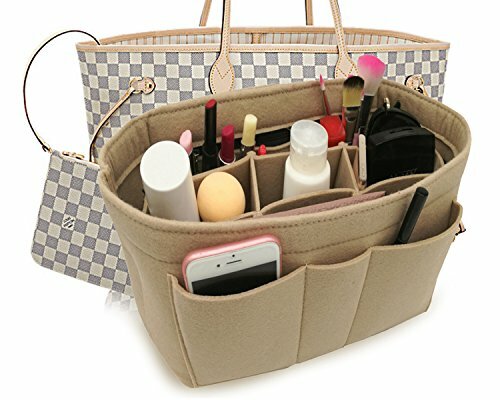 Small:8.6(L) x 4.3(W) x 6.1(H)inches fits LV Speedy 25 perfectly & LV Neverfull PM ; Medium: 10.2(L) x 5.1(W) x 6.3(H) inches Fits Speedy 30 perfectly; Large: 11.4(L)x 5.9(W) x 6.3(H)inches Fits LV Speedy 35 and LV Neverfull MM Perfectly.X-Large:13.4(L) x6.7(W)x7.1(H)inches fits LV Speedy 40 and LV Neverfull GM Perfectly.Portable and Compact Purse Perfectly For any Brand, Such As LV, Longchamp Le Pliage Tote, MK, LV Petit Noe, Gucci, etc. 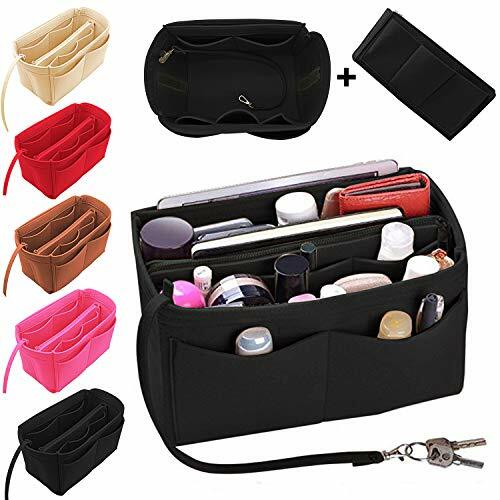 TOTAL 12 POCKETS---12 Pockets Total Organizer Purse,4 exterior pockets, 8 interior pockets, with a removable set of middle pockets that can be allowed for a biger size items when you need,and a zipper inner pockect side. 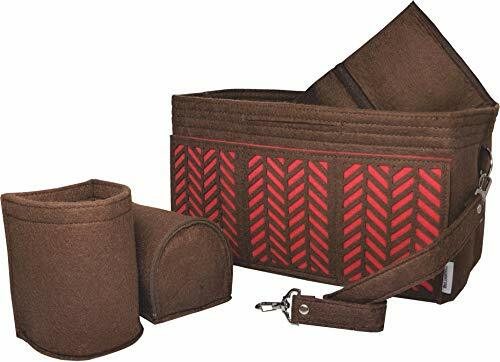 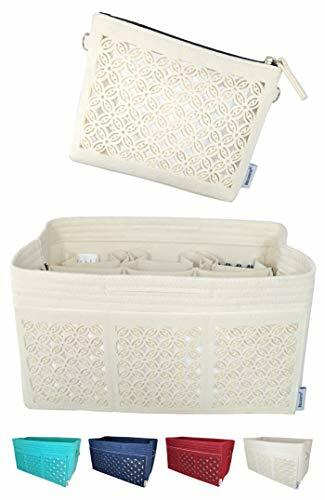 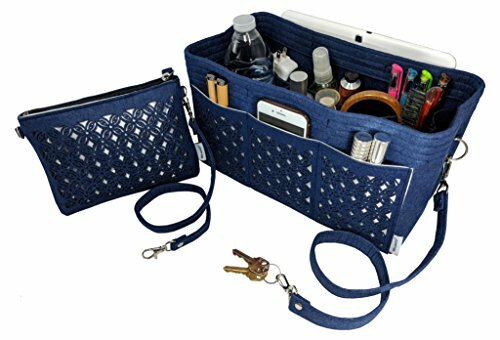 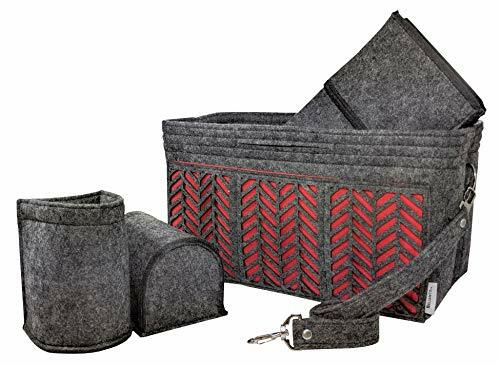 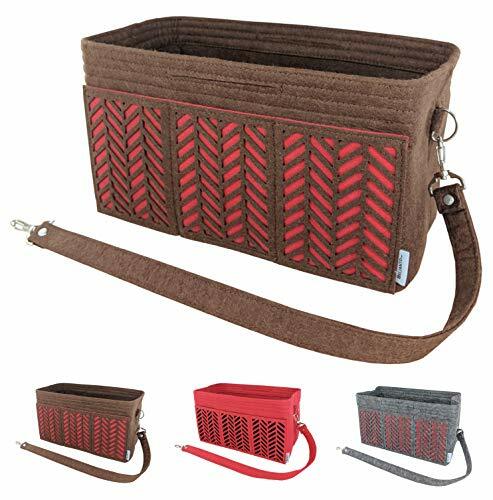 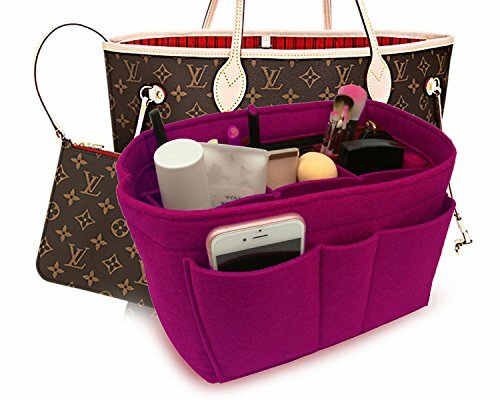 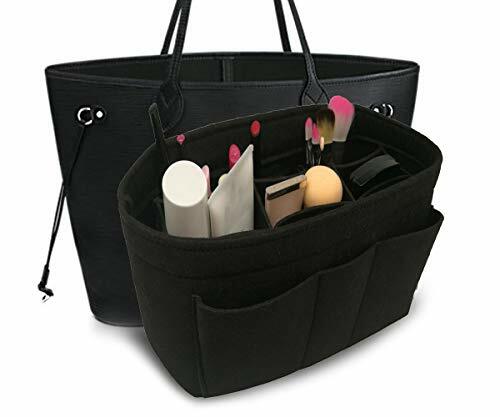 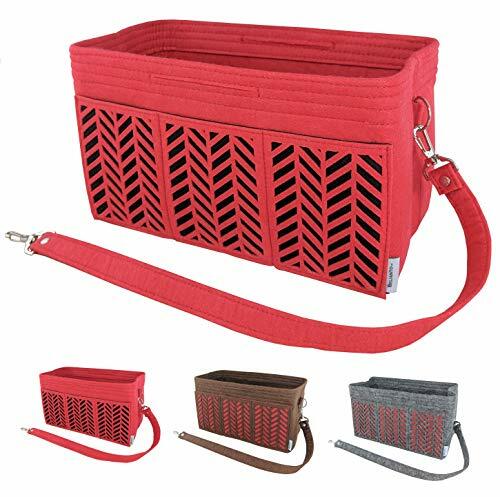 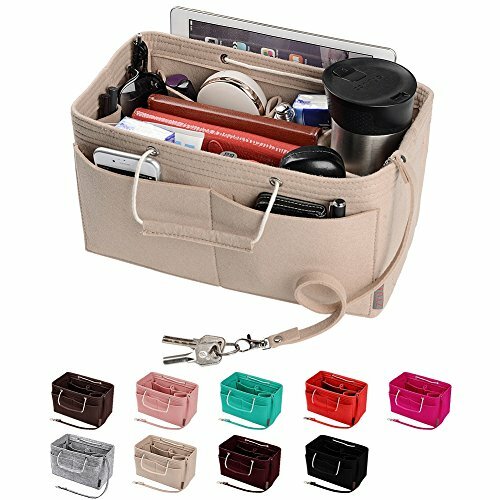 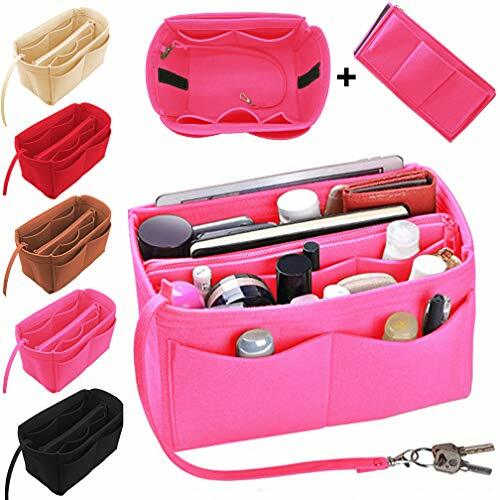 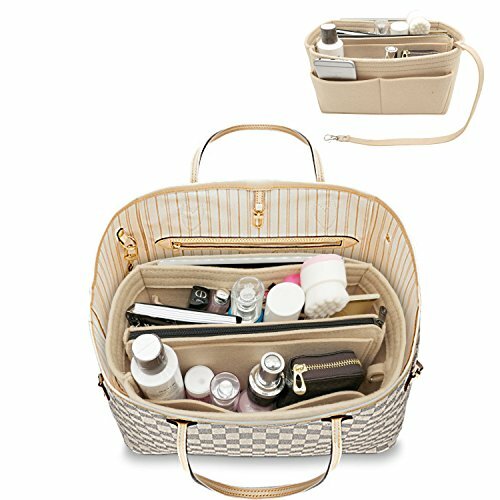 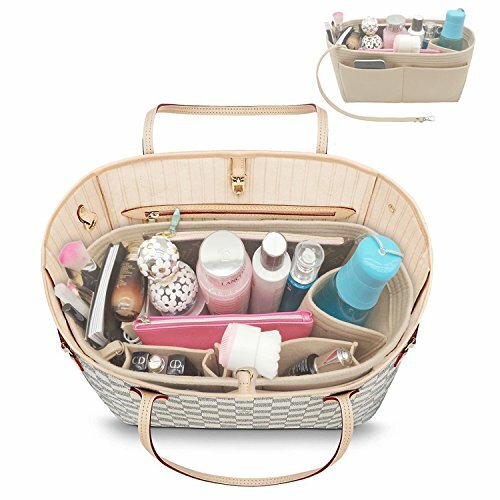 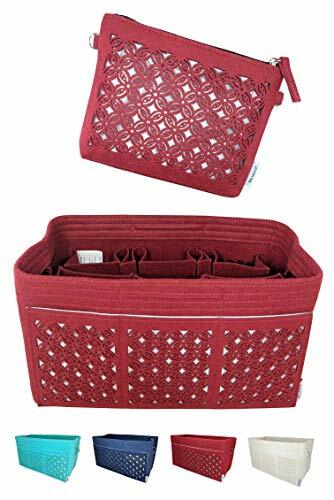 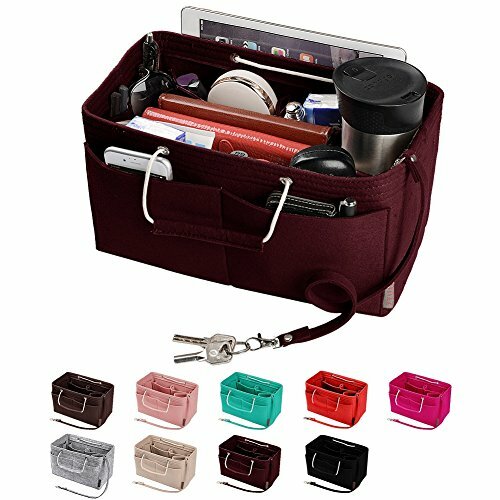 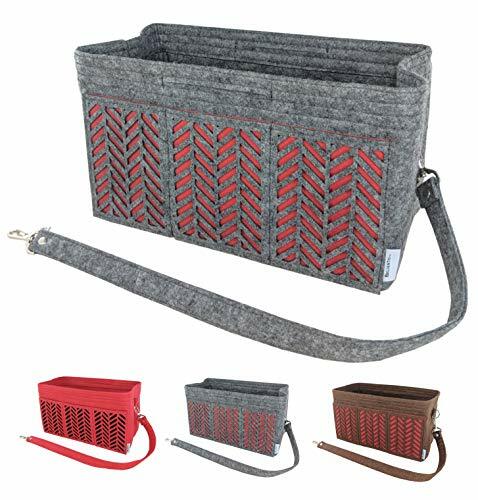 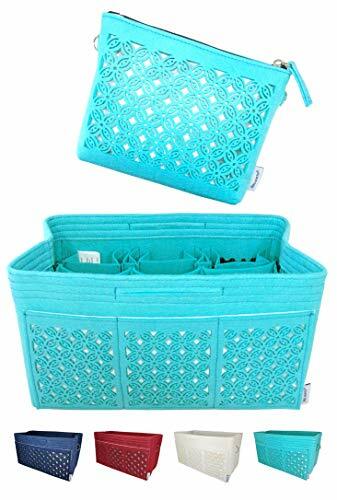 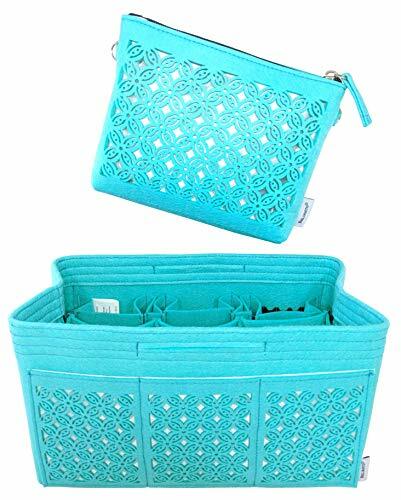 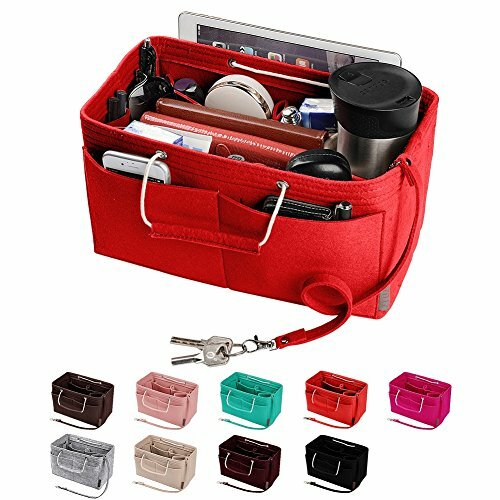 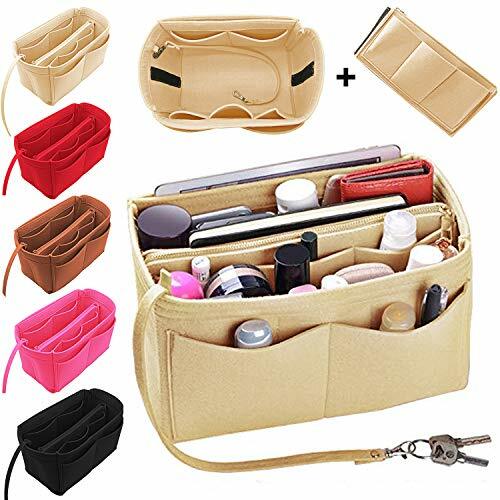 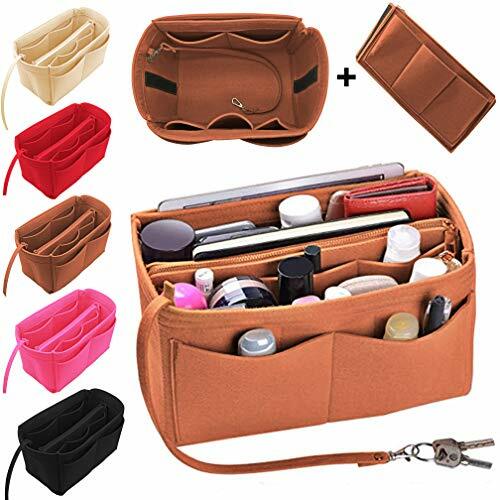 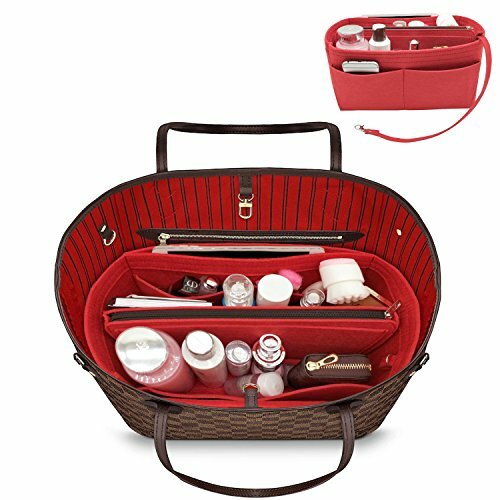 General Applicability: Very multi-functional as purse organizer, handbag organizer, diaper caddy organizer, car organizer, desk organizer and even closet organizer. 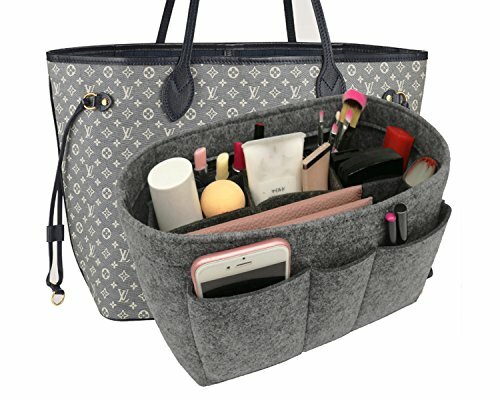 Anything you can think of.